Continuing my previous entry on China Factory Visit – Buyer Diary #6 Production Process (Part 1), I’ve mentioned that it’s probably one of my favorite entries throughout the entire buyer’s diary. Well, I hope that you have learnt quite a bit on the production process and let’s go on for Part 2! We’ve introduced the steps from molding to initial cleaning and up next is printing. There are many different kinds of printing, depending on your product. Some printing technique works for flat surfaces and others on curved ones. Well, the printing machines that we work with are not humongous ones that you may be thinking of right now. 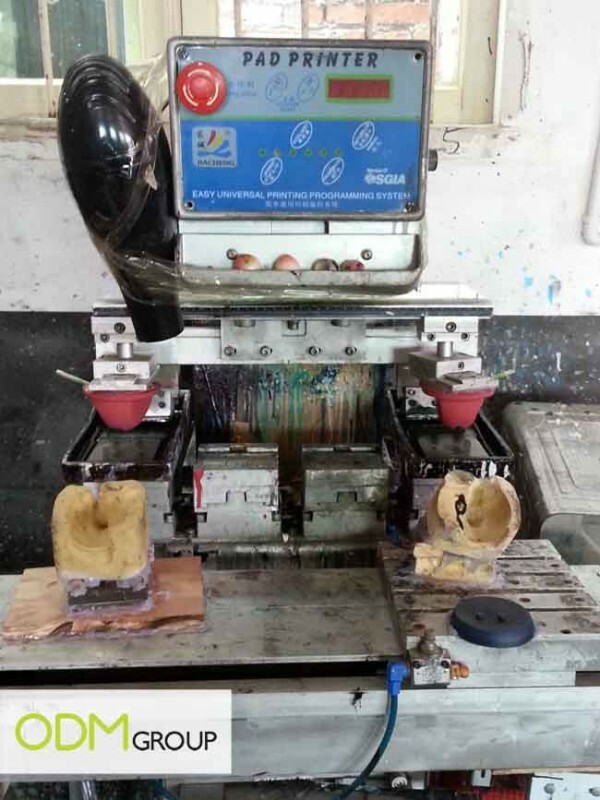 This pad printing machine below sits two workers, and prints two different designs onto the toy. Pad printing works well for curved surfaces, although adjustments would have to be made during the printing process. 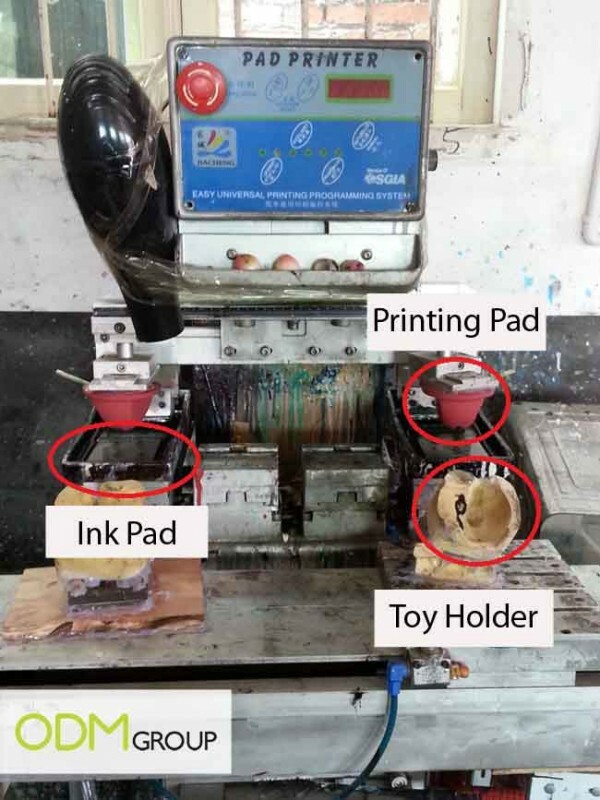 With the illustration provided below, we have the printing pad, ink pad and the toy holder. First of all, the toy is being placed onto the toy holder. The printing pad then stamps the ink pad and moves forward to stamp onto the toy. It works just like your regular chop! To aid in the drying of the ink, a hair dryer is taped onto the machine. With a toy that has 11 different printing designs or patches you may call it, we have to arrange for 11 printing stations and form a printing line! From the first to the last, the factory workers pass the trays down one by one to ensure that the printing is done smoothly. Other than cleaning away the dirty marks and spots, the final cleaning ensures that the toys are in an acceptable condition to be assembled and packaged. What defines acceptable condition? Different people have different opinions; of course the most professional viewpoint is through quality control. To understand more about QC, we have a blog on the different production terms used by the manufacturing and production industry. To put it simply, an acceptable condition is whereby customers are willing to purchase the toy when it’s put on the shelf for sale. The final cleaning is one of the most important steps in the production process. However, the most critical process is the quality control step, as emphasized time and again. 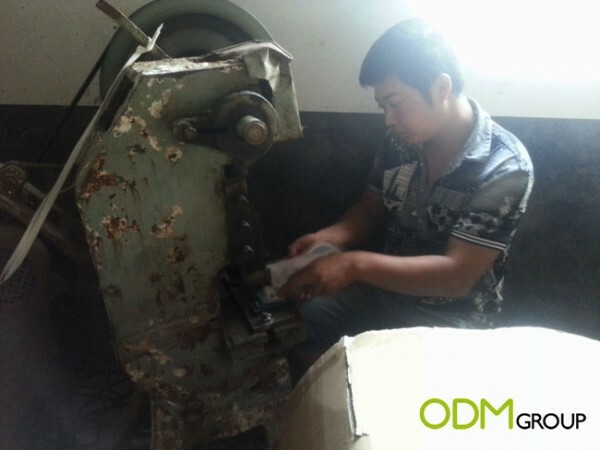 This photo shows one of the factory workers participating in the quality control step. Basically, it’s to pick the toys one by one and reject defective goods. 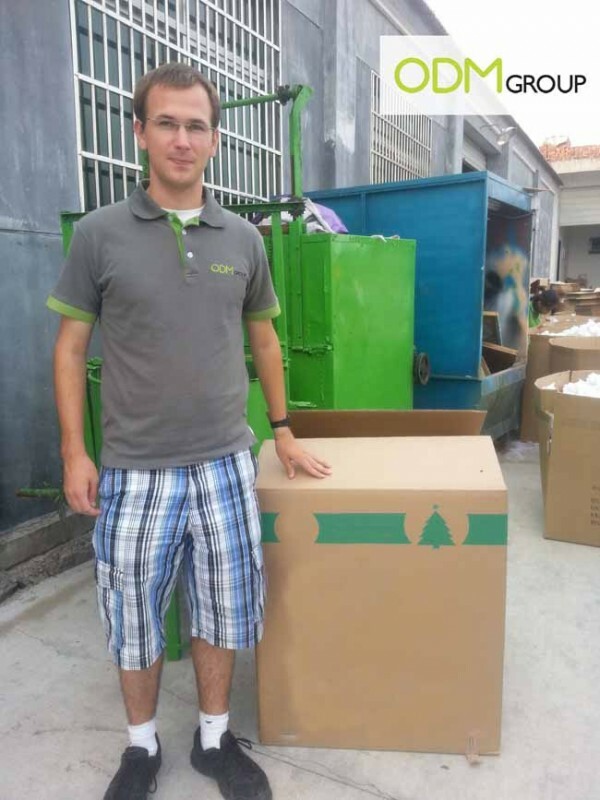 Quality control ensures that the toys are of acceptable quality and can be sold. However, it’s best to employ a professional quality control inspector before shipping out the toys. Most toys require complimentary parts, for example – a dart set will require both the board and darts. Assembling is when we pack all the different toy accessories together. Similar to the printing line, the assembling process requires an assembling line. Do ensure that the factory has sufficient quantity of each accessory to assemble. Some factories may outsource the accessories and therefore, the goods will have to be transported back to the factory to be assembled. For certain toys that are to be displayed on shelves, there is this additional step. It is to punch a hole on the packaging such that it could be hanged on the shelf. The hole punching machine is operates much like a manual car clutch pedal. When you tap your leg onto the machine pedal, it punches a hole onto the packaging. The worker operating this machine must be relatively well experienced as speed and accuracy is required! Finally, it’s the packing step. 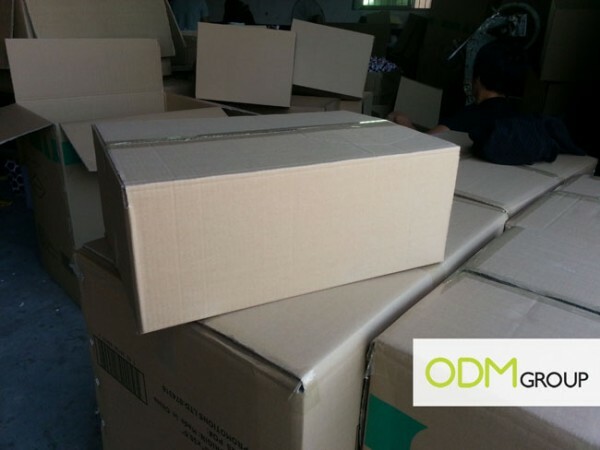 An important point for packing is to ensure that the goods will not be damaged during the course of transportation. For most shipping of goods, the products are first packed into an inner carton. After which, the inner cartons are packed together to form an outer carton. And now the goods are ready to go! This marks the end of the production process.